I’ve been blogging for just under 5 years, and vlogging on YouTube for almost 4 years, so I thought it was about time I showed you my vlogging and blogging equipment. I often get asked questions about my cameras, photography tips, what I use to film my videos, what lighting I have, how I edit my photos and videos, so what better way to answer these questions than to put all answers in one place! On the video below I talk about every single piece of equipment that I used (or have ever used) on my blog and YouTube channel. I’m quite a techy-girl and I love spending time (and money!) on cameras, computers and similar techy-stuff, so over the years I have acquired a fair amount of gear, which I now use to create my blog photos and YouTube videos. [youtube=https://youtu.be/C5PWx9tusE0&w=1080] I’m very happy with my current equipment and everything seems to be up to my annoyingly high standards. Mind you, when you add it all up, this obsession of mine doesn’t come cheap, but to me it’s a hybrid between work and passion, so that’s my excuse. 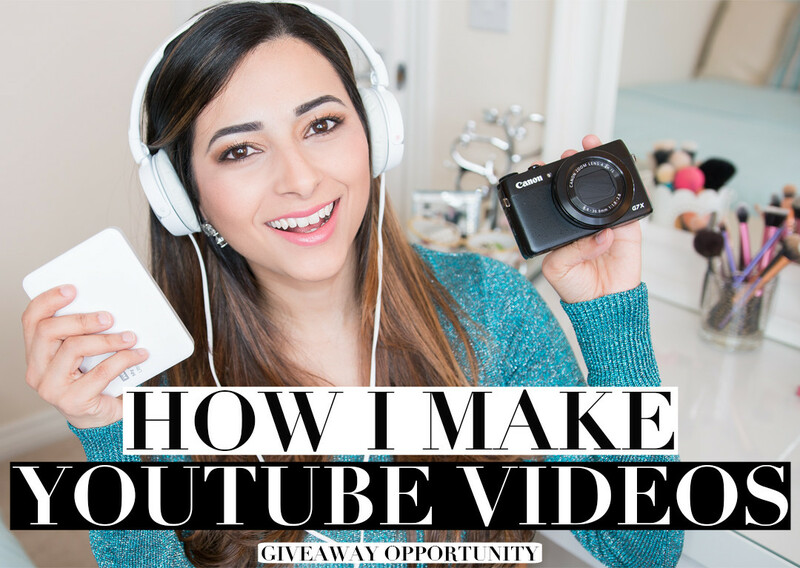 If you’re just starting with blogging and making YouTube videos, you definitely do not need all this equipment. This is the product of 5 years worth of buying, selling, upgrading and investing in camera equipment! But if you’re looking to improve the quality of your photos or videos, or just want to get some ideas of the kind of things you could have, then this video will be right up your street. As a bonus, and to say thank you for almost 20K subscribers on my YouTube channel (we’re so close, guys! ), here’s a cheeky little GIVEAWAY for you! If you want to be in with a chance of winning a WD MY PASSPORT ULTRA EXTERNAL HARD DRIVE, you can enter the giveaway on my Facebook page. All you have to do is like my page. Comment on THIS POST, telling me: if money was no object, what technology item would you buy? I’m already looking forward to reading your answers! Mine would be a time machine… or a more realistic one, a robot to do the housework! Maybe not so realistic after all! :) T&Cs can be found below this post and on my Facebook page. I hope you enjoy the video and if you would like to see more blog posts and videos about my blogging equipment, do let me know on the comments below! If you’re not subscribed to my YouTube channel already, what are you waiting for? :) It’s free, easy and you will get notified when I upload new videos so you don’t miss a thing! You can subscribe here. Under 18s, please ask your parents or guardian for permission to enter the giveaway, as I will need to know your address to send the prize, in case you win. The competition will be open from 10.30pm BST on Tuesday, 5th April 2016 to 10.30pm BST on Friday, 8th April 2016. OH -EM -GEEE! I mean…You have got strong nerves to work with all the equipment! Lol! But It is a very informative video for other bloggers. You always come up with something useful in terms of blogging help articles. I like the little remote control that has settings for taking photos and start-stop videos. I am using a Nikon Camera. Do you think it can work with that too?